Welcome back to another Extra Income Report. Today we will cover the extra income I made in November of 2018. These posts are a bit different than my blog income reports because I’ll only include “Extra Income” sites and I’ll show you up to date screenshots of the exact payment for November. Below I’ll list all of these sites with a brief description, show you proof of payment, give you a link to join, and a link to my full review to learn more. 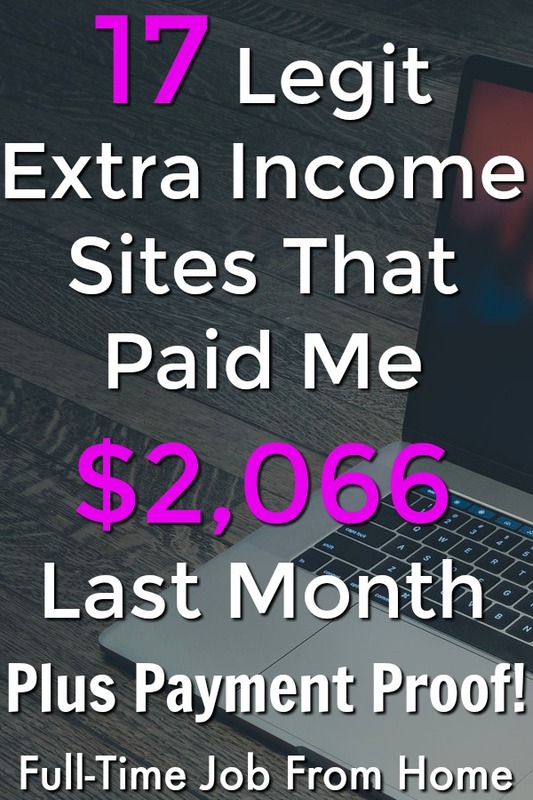 The sites on this list are all Extra Income sites, so don’t join these sites if you’re looking to make a large online income. 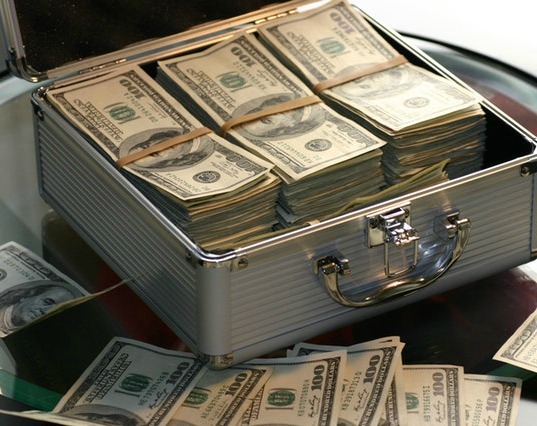 Instead check out My #1 Recommendation to see how I made over $13,000 online last month! If you have any questions feel free to leave comments below or check out my full reviews. Let’s get started with this Extra Income Report for November 2018. 17 Legit Sites That Paid Me! Wealthy Affiliate is a blogging training course and community. The reason it’s on this list is that the training at WA is the reason I’m able to make this kind of money with Extra Income Sites. If you have any interest in blogging, I highly recommend checking out the training and community. They let you join for completely free, so you can see if it’s right for you. To learn more or to join, visit WealthyAffiliate.com. Again, it’s completely free to join and see if it’s right for you! Qmee is a browser extension that I recommend everyone using. It only takes a few seconds to join, and you can earn a small passive income each month by searching the internet. Qmee works by showing you search results on a sidebar, so it doesn’t affect the results of the search engine you’re searching on. When you click on a Qmee search result, you’ll earn $.05-$.10. It works when searching Google, Bing, Yahoo, and stores like Amazon, Walmart, Target, and many more. Qmee has no minimum cash out amount via PayPal, so you can get paid once you click on one result. They also pay via gift cards starting at $5. Swagbucks is a rewards site that pays you to search the internet, watch videos, take surveys, play games, and much more. 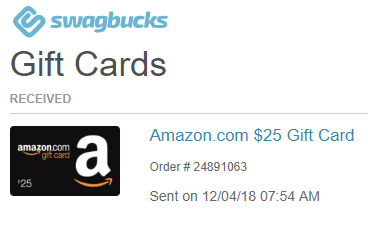 Swagbucks has 100s of gift card options with most of them starting at just $5. You can also get paid via PayPal once you earn $25. To learn more or to join, visit Swagbucks.com to earn a $5 sign-up bonus! Ibotta is an app that pays you cash back when you shop. Ibotta has offers for all kinds of products, but the main category you’ll get paid for is grocery shopping. Ibotta will pay you $.25-$5 cashback when you purchase items listed in the Ibotta app. All you need to do is save your receipt after shopping and take a picture inside the app. Once you earn $20, you can get paid via PayPal, Venmo, and gift cards. To learn more or to join, visit Ibotta.com! PaidViewpoint is my favorite pure survey site that’s available worldwide. I love PaidViewpoint because they only send you surveys that you’re pre-qualified for. That means you’ll earn for every answer you give and never be told that you did not qualify for a survey. Once you earn $15, you can get paid via PayPal or gift cards. To learn more or to join, visit PaidViewpoint.com, and you’ll earn a $1 sign-up bonus! FusionCash is a rewards site that I’ve been using for years to make extra cash. They pay you to do things like take surveys, complete offers, watch videos, visit websites, and have one of the best referral programs. Once you earn $25, you can get paid via PayPal, Direct Deposit, and Check. To learn more or to join, visit FusionCash.com, and you’ll earn a $5 sign-up bonus! Clixsense is a rewards site that is available worldwide. They pay you to visit websites, complete surveys, and more. Once you earn $10, you can get paid via Check and several other cash payment processors (No PayPal). Earnably is a newer rewards site that I really like. They pay you to do things like watch videos, complete offers, complete tasks, and much more. They have PayPal and Amazon gift cards starting at $1 and have several other gift cards starting at $5. They also make payments via several cryptocurrencies. PrizeRebel is a rewards site that pays you to take surveys, watch videos, complete tasks, and much more. Once you earn $5, you can get paid via PayPal and several gift card options. FeaturePoints is an app and just recently added an online version that pays you to download apps, take surveys, watch videos, play games, and much more. Once you earn $3, you can get paid via PayPal and many gift cards. InstaGC is a rewards site that is available in most countries, so it’s a perfect extra income site for most readers. They pay you to complete tasks, watch videos, download apps, and much more. InstaGC has cash payments via PayPal, Direct Deposit, and check starting at $1 and several gift cards starting at $5. 1Q is an app that pays you to answer short 1 question polls. You’ll earn $.25 directly to your PayPal account as soon as you answer a question. You’ll only receive a few polls per week, so this won’t make you rich but is an easy way to earn a few bucks per month directly to your PayPal account. Dosh is a new app that pays you automatic cash back when you shop at participating stores. When I say automatic, I mean that you don’t have to scan a receipt, all you need to do is link a debit/credit card, and you’ll earn cash back when you purchase anything from participating stores. Fetch Rewards is an app that pays you to buy grocery products from your favorite brands. 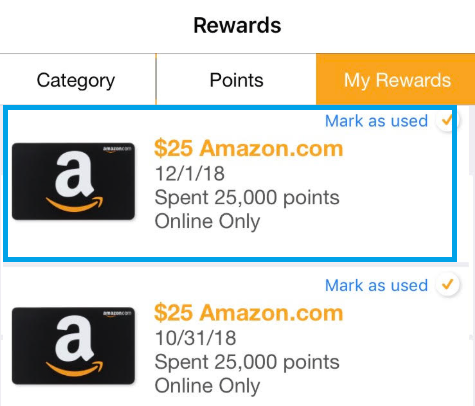 You’ll actually earn points for any receipt that you upload, but you’ll earn more points when you purchase from participating brands or specific offers. Some of the participating brands include Quaker, Kraft, Oscar Mayer, Klondike, OreIda, Cheetos, Lay’s, Planters, and many more. Once you earn $5, you can get paid via gift cards. GetUpSide is a new app that pays you to purchase gas from participating gas stations. It’s only available in certain parts of the US but is rapidly expanding. Visit GetUpSide.com to see if it’s available and if not you can be notified when it is. Once you earn $10, you can get paid via PayPal or gift cards. TruNow is an app that pays you cash back when you purchase gas and items from gas stations. It’s really an alternative if GetUpSide is not in your area. Once you earn $5, you can exchange your money for gas or get paid via PayPal. To learn more or to join, visit TruNow.com! SweatCoin is an app that pays you to take steps. You’ll earn points for the outdoor steps that you take. You can exchange your points for fitness related products/services. If you refer friends, you can also get paid via PayPal. To learn more or to join, visit SweatCo.io! I hope you enjoyed this extra income report. If you have any questions about the sites listed above don’t be afraid to reach out in the comments below, I’m here to help! If extra income isn’t for you I completely understand, here’re some other helpful links with more ways to make money online. Do you have any questions about the sites on this list? Is there a site that pays you each month? I’d love to hear about it in the comments below!